3 companies licensed to run trips in Nahanni Park are based outside the N.W.T. 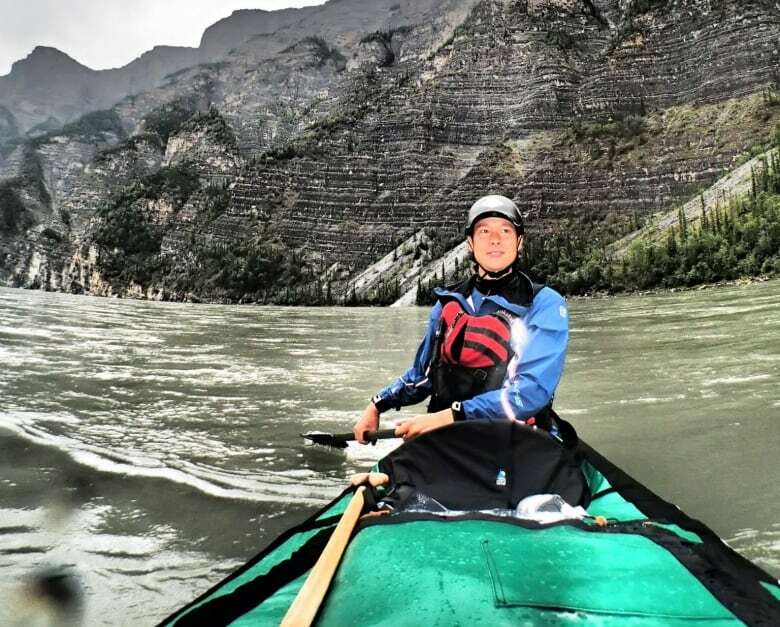 When Dan Wong wanted to offer clients of his Yellowknife-based canoe outfitting business a new adventure, one of the first locations he thought of was the famous Nahanni River. "If you ask folks down south [to] name ... one river they've heard about, they'll say Nahanni," said Wong, the owner of Jackpine Paddle. "It's super popular, so that's where you want to be running your tours." But when he asked Parks Canada about getting a license to run trips down the Nahanni River, he was told no new licenses are available — though one is held in reserve for a Dehcho First Nations business. None of the three outfitters licensed to guide canoe trips in the park are based in the Northwest Territories: Blackfeather is a Parry Sound, Ont., company; Nahanni River Adventures is based in Whitehorse; and Nahanni Wild is headquartered in Canmore, Alta. 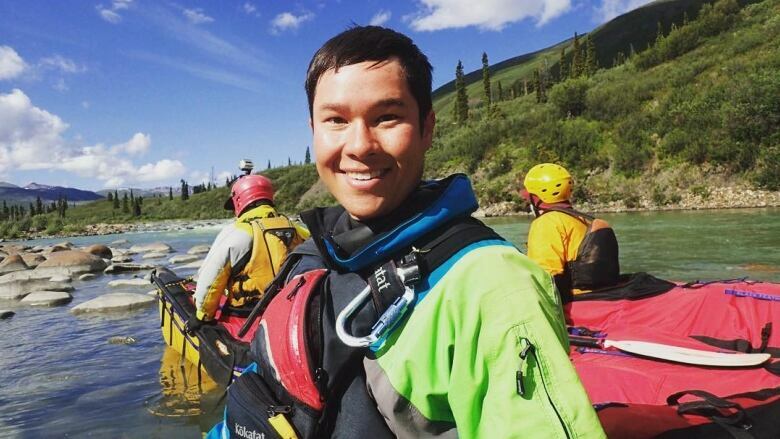 "I was a little disappointed that, as a northern company that's trying to grow the tourism industry, particularly canoe tripping, I didn't have a fair shake at submitting into the application process," said Wong. "It's easier for me to hire northern staff and create jobs here. All of my business income is taxed and goes to the territorial government, so helps out with government revenues. It's also easier for me to build partnerships with local communities." No one from Parks Canada was available for an interview for this story. But in a statement released by Nahanni Park Superintendent Jon Tsetso, Parks Canada said licences are issued on a year-to-year basis. "The three existing river guiding business licence holders have a long history of providing high-quality, sustainable tourism products across the north and their activities extend beyond Nahanni," said the statement. "Business licenses are re-issued each year providing that these businesses operate under the conditions of their licence(s) and continue to provide high quality and meaningful visitor experiences that respect the environment." Wong wants to see a system that allows others to compete for business in the park. "For example, running the Grand Canyon has a lottery system," he said. "There's just too many people wanting to run tours in such a small sensitive area. So there's systems online where you can submit an application and you're simply randomly picked according to some kind of algorithm. There are definitely ways to do this that are fair for all." Parks Canada said it's renewing its business licensing policy. "Consultations with our stakeholders on this matter is expected to take place soon," said the department in an email. Nahanni is just one of the prime tourism spots in the territory dominated by tourism companies based outside the N.W.T. Plummer's Arctic Lodges on Great Bear Lake — which holds a record for producing the world's biggest lake trout — is based in Winnipeg. Just five of the 17 all-inclusive fishing lodges listed on the territory's Spectacular NWT website are based in the territory. Want to hunt Dall sheep in the Mackenzie Mountains? Seven of the eight members of the Association of Mackenzie Mountain Outfitters are based outside the territory. But the organization that licenses tourism operators across the territory said most of them are based in the N.W.T. According to the Department of Industry, Tourism and Investment, 99 of the 134 businesses licensed last year were based in the territory. Fossilized fish footprints may get tourism dollars in N.W.T.